I met her under modern circumstances. Yes, it was over the Internet. I sent out a formal email, followed by intuition and mutual curiosity. Being bold wasn't in my nature, but destiny facilitated our meeting. A few movie-and-dinner dates later, I got to know her better. I was dealing with a she-wolf. It was something completely new to me: she was beautiful, intelligent, kind, and affectionate. Believe it or not, one day I gave in to my new ways and boldly asked if I could come up for a glass of wine. Suddenly, I was in her cave. Considering the dangerous situation, she asked me if I really knew what I was getting into. The urge to jump off the edge took hold of me and I decided to take the risk. She carefully led me to her cave for the inevitable slaughter. Wild instincts. The repressed need to break free from social standards. I was laying in her bed under her strong body. There was no scape. Surprisingly, though, she asked me if I'd rather be eaten up alive right away or wait for another day. Even though I longed to be devoured that very instant, I was afraid of turning into a premature Red Riding Hood. I said I could wait till next time. She shook her head, but accepted my decision. She calmly came closer and put her lips on mine. I experienced the most lustful kiss of my life. Then I realized I would never walk out of the she-wolf's cave the same person I was before. 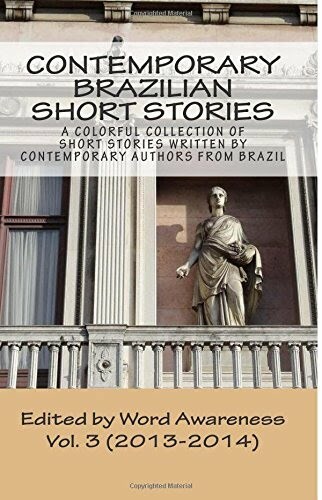 She has published short stories and poems in collections organized by the Câmara Brasileira de Jovens Escritores [Young Brazilian Authors Chamber] and in her blog Sensação de Morango [Strawberry Feeling].